For the second straight month, the distribution of BlackBerry OS versions are mostly unchanged. Almost all users (98.5%) are running OS 5.0 or higher, but only about a third of users (34.1%) are on the newest version of the OS. This data was taken from downloads of the free BlackBerry strategy game Pixelated. 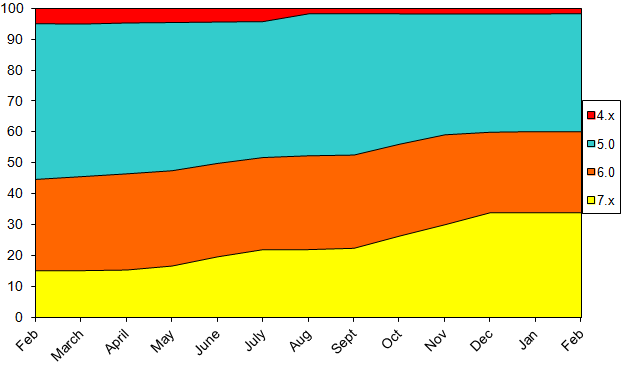 Data shown on the chart is from the beginning of February 2012 through the end of February 2013, and does not include BlackBerry 10 or PlayBook devices.